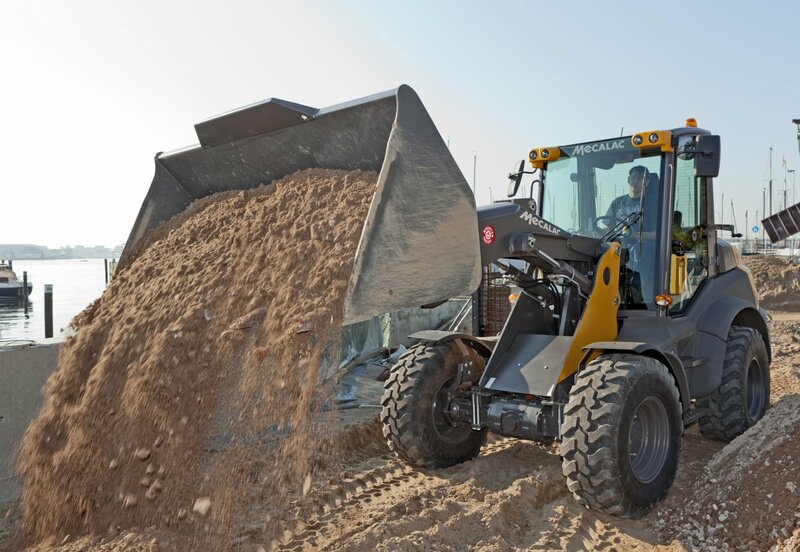 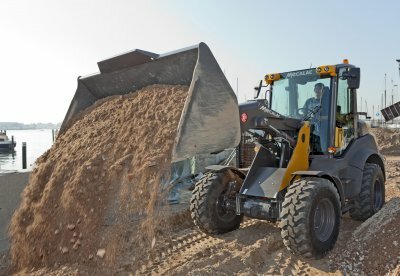 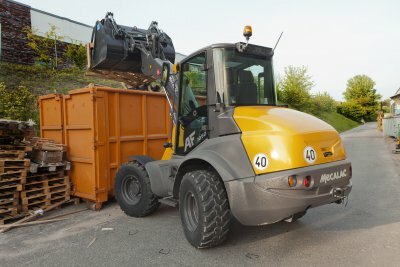 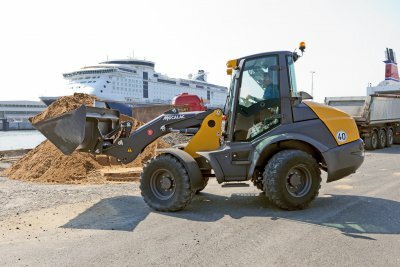 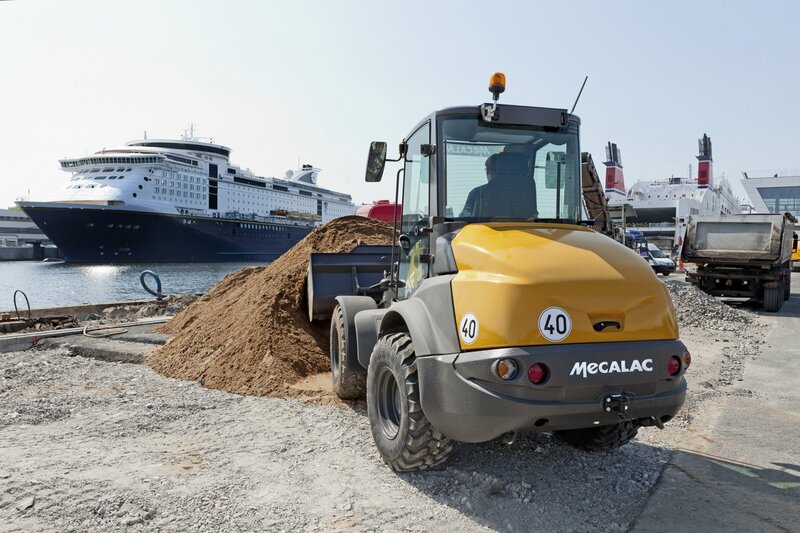 The four wheel steered AF 1050 is a member of Mecalac's new Boosterline series. 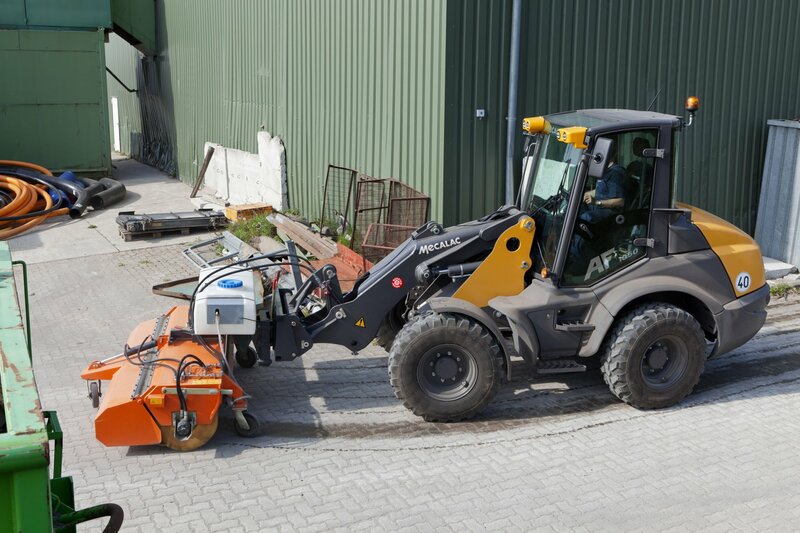 The new power pack with a bucket volume of 1.05-1.5 m³ features a Monoboom with 2 lift cylinders + Boost. This results in a considerably increased machine productivity. 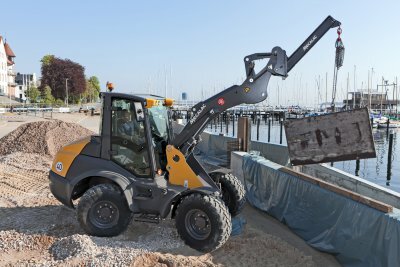 A spacious cabin with 2 fully-fledged doors allows for low fatigue operation even during longer working hours. 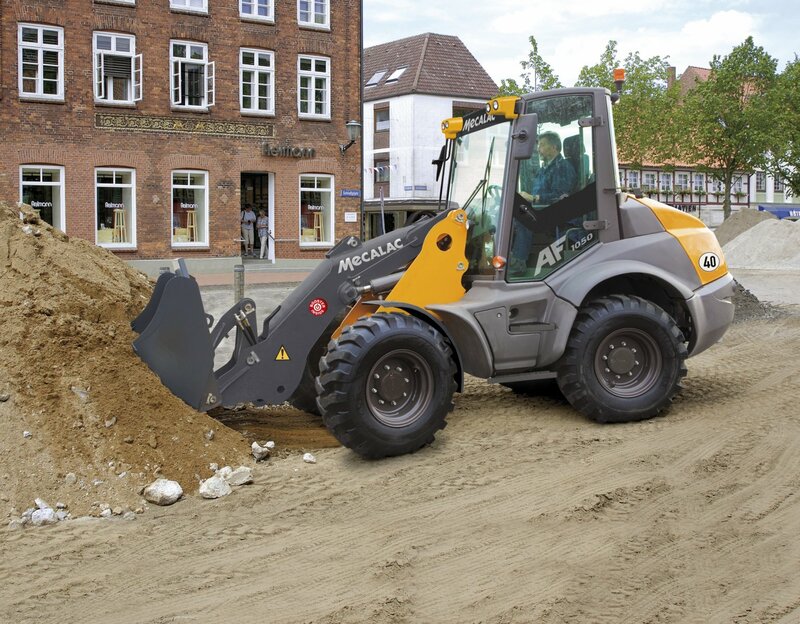 The powerful auxiliary hydraulics allows road sweepers, plate compactors, mowers, etc. 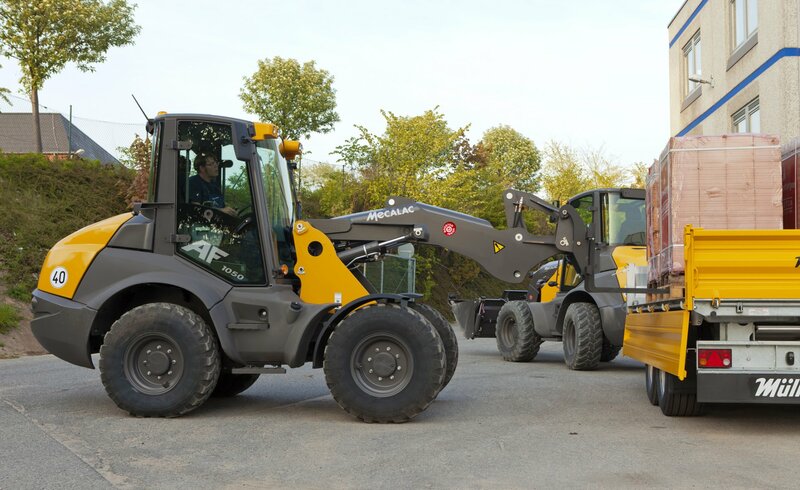 to be operated.